The red error light means that there is a communication error to an external device. It does not mean your show controller has a fault. The device's ".Error" variable will be set when the error light blinks. #2. The response received does not match the response specified in the product's .prd file. See below to determine which case is the cause of your product file error. - If all your external devices and script is functioning correctly, you may not need determine the cause of the error light. It's possible (if you did not program the original show) that some devices were removed from the installation and are not longer required. However, the V16Pro/V4Pro may be trying to talk to them anyway. If this is the case, the error light can be safely ignored. - If your external device is not functioning correctly, use the "Live Log" method to determine the problem (see #2 below). #2: The response received does not match the response specified in the product's .prd file. The best way to check any product file is with the "Watch" window and "Live Log". You must first determine which device is causing the error and then compare the messages to the product file. Connect using WinScriptLive 4 in "Live Mode"
*Note: Log entries of this type are only available on firmware 1.77 and greater. In WinScriptLive, go to Help-->Update Firmware to update the firmware if needed. Add the device's name (just the name by itself) to the "Watch" window. Open the "Live Log" (using button on Watch List Toolbar) and you will be able to see all messages going back and forth. After looking at the live log, make sure you are getting an incoming response string from your device. If you are getting a response, and the error light is still blinking, the string must not match the string in the product file. Open the .prd file in Product File Creator (On the "Tools" menu in WinScriptLive) and edit the "message" marked with the "incoming" attribute to match the string you are seeing. 1. Save the complete "Live Log" file using the "Print" button in WinScriptLive.  2 E-mail the log file along with the .prd file you are using to support@alcorn.com.